**Thanks to Colgate Optic White for sponsoring this post. Each day, I am grateful for the opportunity to try the latest launches in skincare and beauty. From cutting edge serums to high performance foundation, new products consistently find their way to my face for testing so I can report back on Beauty Professor. 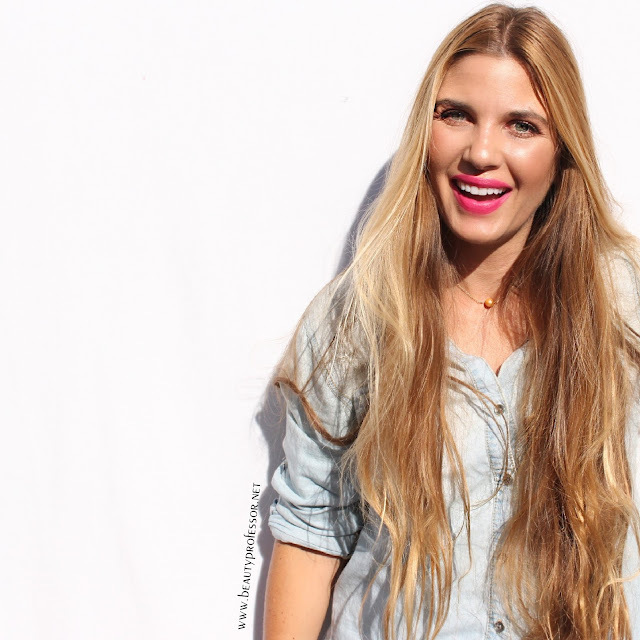 My current fall beauty routine, however, would not be complete without a nod to teeth whitening. That is, it doesn’t matter how brilliant the lipstick is if my smile is not as bright as it could be. In the past, I found the process of teeth whitening to be a bit daunting; going to the dentist for a professional treatment felt over the top for this occasional coffee drinker. 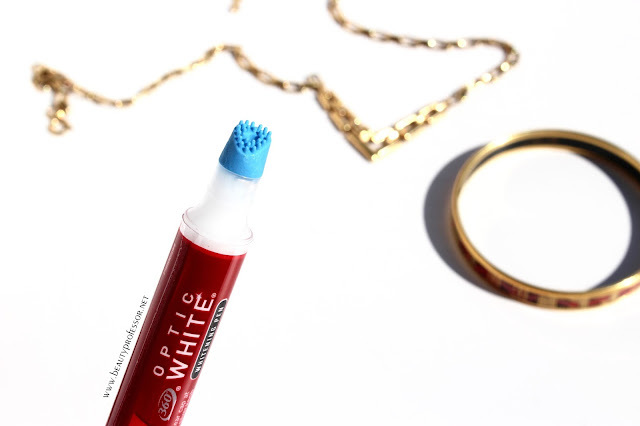 So, recently, I have been embracing the *Colgate Optic White Toothbrush + Whitening Pen. Cleverly nestled within an innovative toothbrush, this formula is applied after brushing. The slightly minty gel adheres to teeth to gently brighten; after a couple of minutes, the clear gel dissolves completely, completely removing the need to rinse and guaranteeing no sore teeth! After about a week of twice daily application (morning and night), I discovered that I love the fact that the whitening pen is conveniently contained within the toothbrush, which guarantees that I’ll remember to maintain consistency since I build the process into my teeth brushing routine. 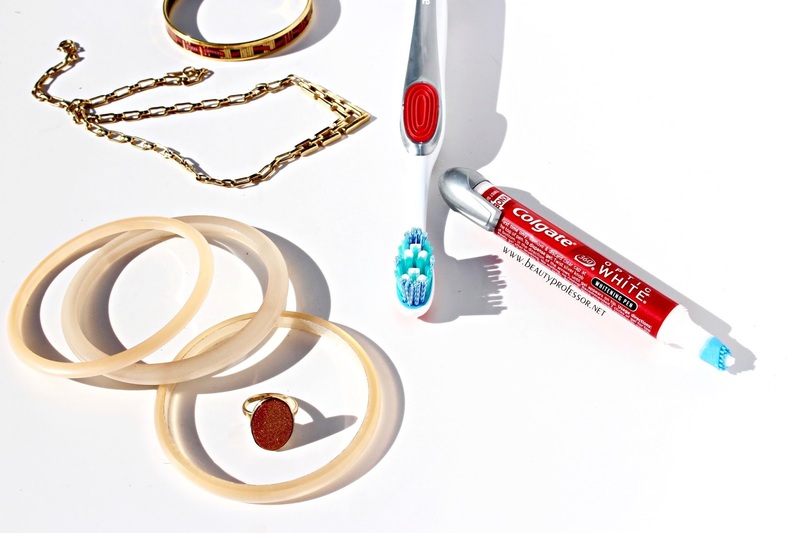 Cool pink and red lipsticks look brighter against my whiter teeth and even warmer shades like pale lilac and rose, which tend to highlight any yellow tones in teeth, are entirely wearable as of late! Integrating the *Colgate Optic White Toothbrush + Whitening Pen into my routine has been easy and its efficacy is indisputable. 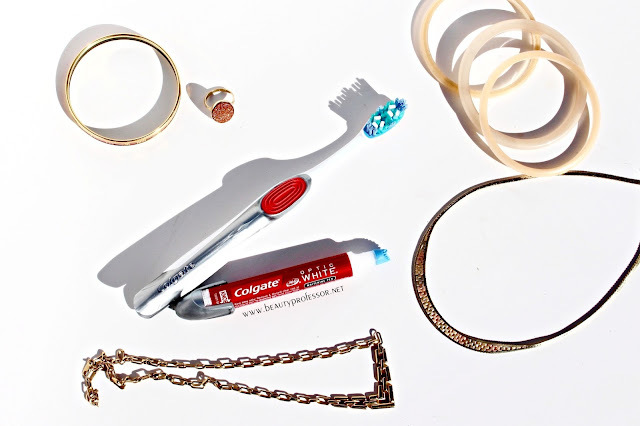 Bottom Line: If you are looking for an effortless way to whiten your teeth—which, in the long run, heightens the performance of your entire beauty routine—then I recommend giving the *Colgate Optic White Toothbrush + Whitening Pen a go. 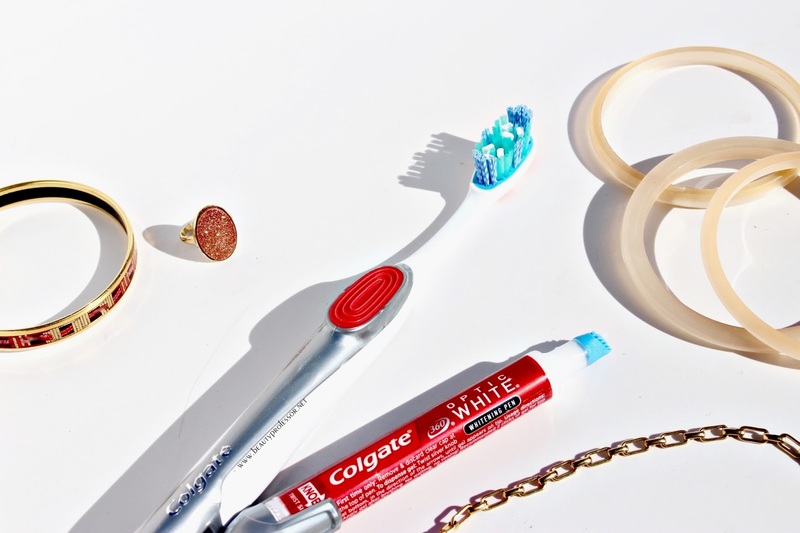 Do YOU whiten your teeth? If so, what are some of your favorite ways of doing so? Do tell! Good things ahead, including a fresh FOTD, a skincare update and a host of new product procurements…can’t wait to share!